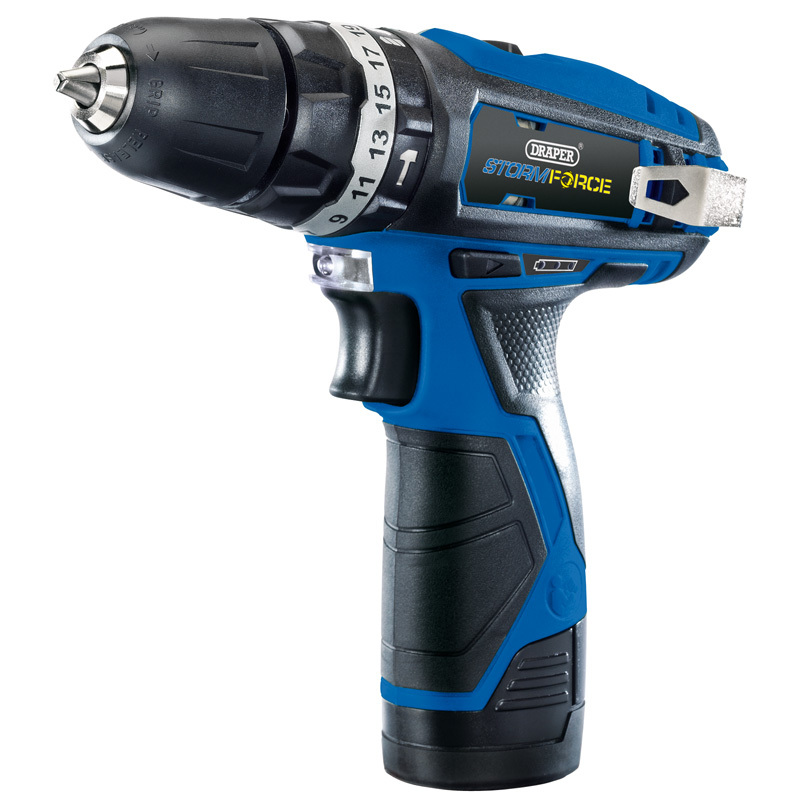 Storm Force® cordless hammer drill fitted with a powerful 25Nm variable speed motor with 21 torque control positions and three functions; drill, hammer drill and screwdriver. Fitted with a sturdy 10mm keyless chuck, super bright LED worklight, metal belt clip and a battery level indicator. Supplied with TWO impressive 10.8V 1.5Ah lithium powered batteries, one-hour quick charger and a heavy duty carry case. This entry was posted in DIY, DIY Featured and tagged Cordless Hammer Drill, draper, Drill/Driver.